While there are so many fun things to do on a date in Seattle, getting out of the city can be just as fun. 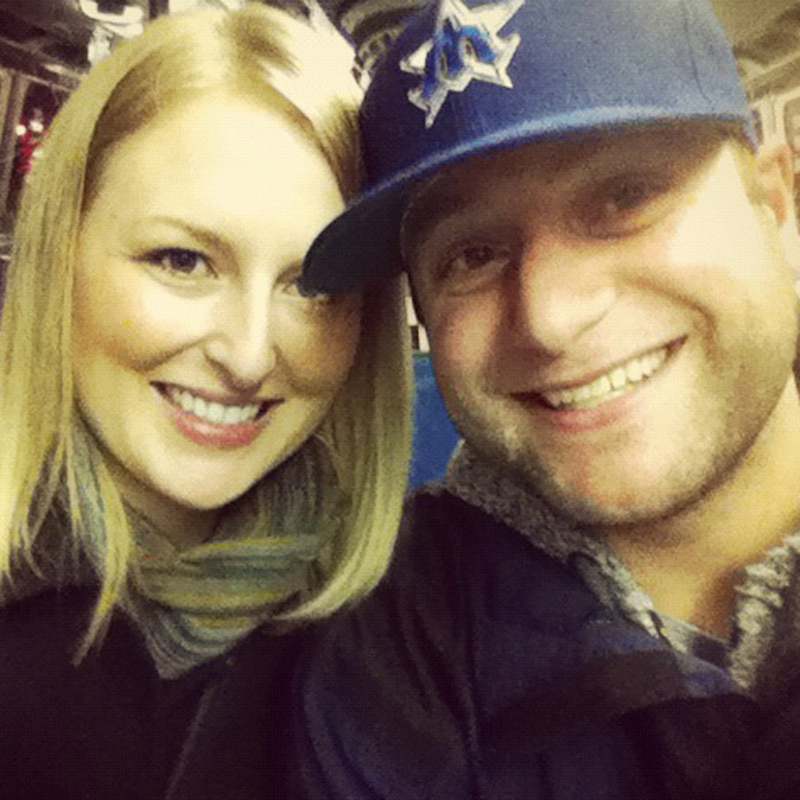 Tim and I love hopping on a ferry and taking a ride across the bay to Bainbridge Island. The view of the Seattle skyline, the fresh air, the tasty food and exciting adventures make a Bainbridge Island day trip a great date. That’s why it’s our latest installment of It’s a Date! 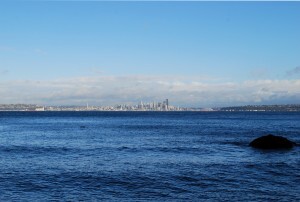 The great part about Bainbridge Island is that it feels far away, but it’s so close! It’s only a 30 minute ferry ride from Seattle. 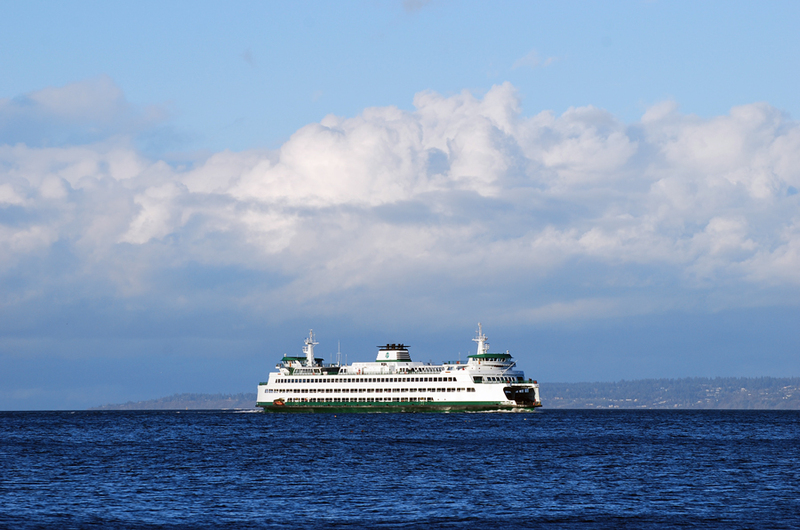 Ferries depart from the Seattle waterfront several times a day. Departure times change depending on the season, so we suggest checking the schedule online before you leave. You can either drive or walk onto the ferry. Tim and I have done both. There are plenty of great things to do on a Bainbridge Island day trip whether you take your car or go by foot. When you’re on the ferry, make sure you go outside on the deck and take in the view of Seattle. 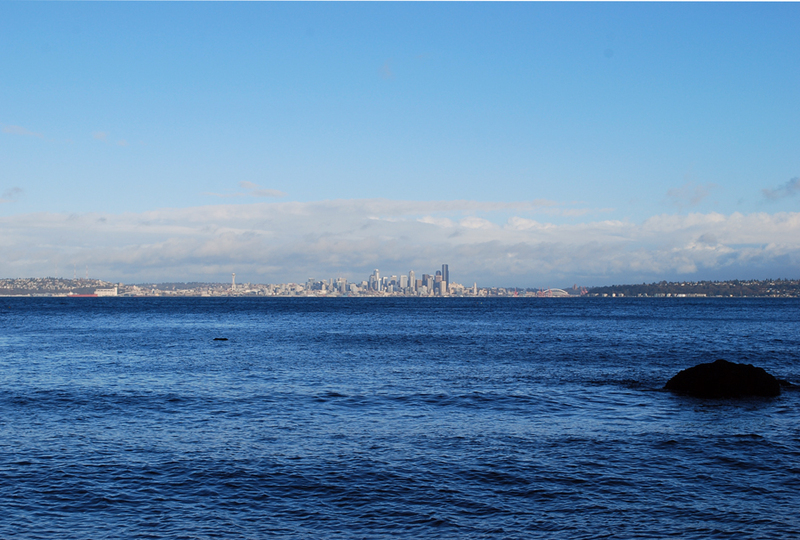 It’s incredible to watch the Seattle skyline drift away as you head out on your adventure. It’s truly unlike any other view you can find in the area. It’s awesome. The fun continues when you arrive at the ferry terminal on Bainbridge Island. Tim and I like to fly by the seat of our pants, so we have a few different options for you once you get into town. We recommend doing all of the things I’m about to outline, but it’s up to you what order you’d like to do them. “Downtown’ Bainbridge Island (called Winslow) is only about two blocks from the ferry terminal. That’s why you can literally walk onto the ferry for your date. If you drive, finding a parking spot along the main drag usually isn’t very hard. We recommend just strolling around town. There are lots of cute boutiques, and many of them carry art work from local artists. There is also a fun candy shop for those with a sweet tooth. 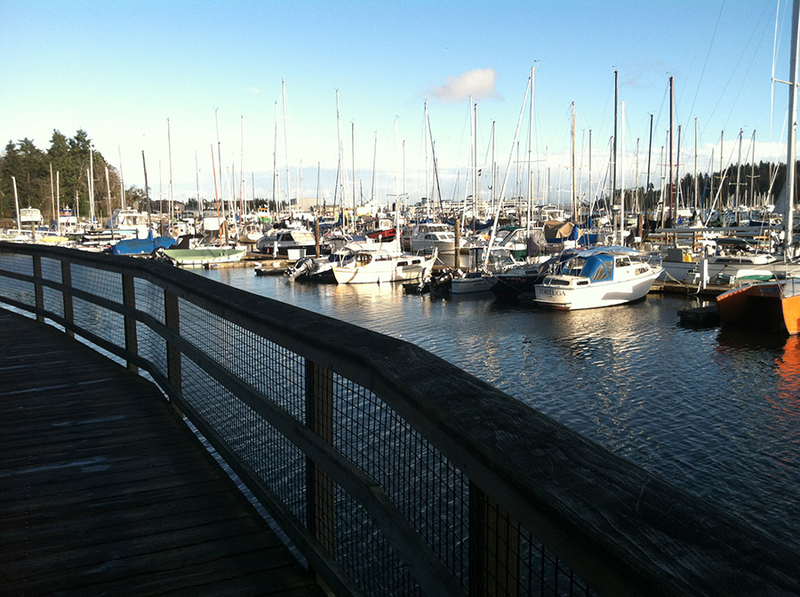 There are several great restaurants and eateries along the main drag of Bainbridge Island as well. If you’re there during the day and looking for lunch, we love Hitchcock Deli (map). They make great, unique sandwiches. They also have wonderful coffee, so if you need a pick-me-up, this is your place. Hitchcock Deli is small but very tasty. It’s sister restaurant, Hitchcock, is right next door and makes for an awesome dinner option. Another great place to grab dinner is Restaurant Marche (map). This is actually where Tim and I went for Valentine’s Day this year (yes, we hopped on the ferry after work and spent the evening in Bainbridge– it’s really that close and that easy to visit). The ingredients at Restaurant Marche are local and the dishes are made with love. The chef actually visited our table with a glass of champagne to share a cheers with us. It’s a great atmosphere. 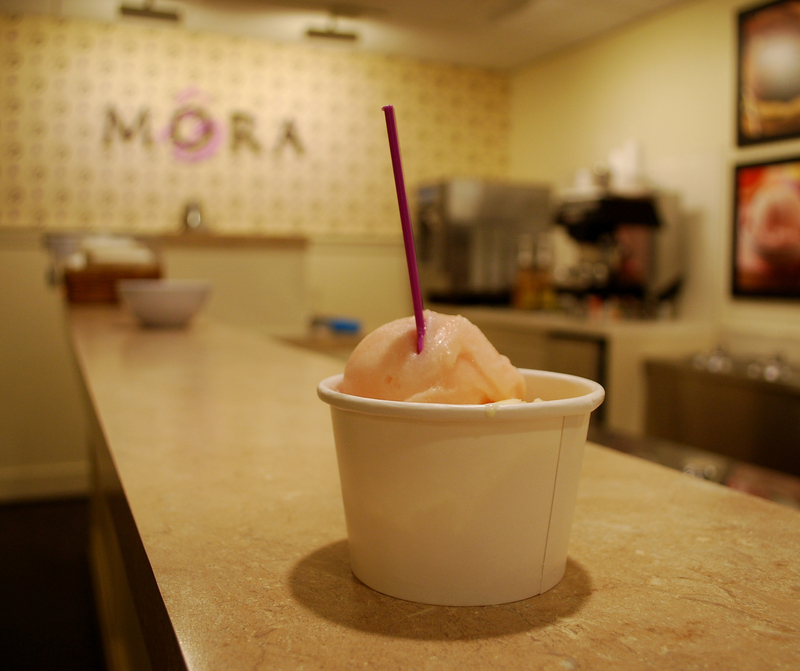 After lunch, or dinner, or just because, make sure to stop by the ice cream shop MORA (map). This is the the ice cream place on Bainbridge Island. With dozens of creative flavors, you’ll be in heaven. Try as many flavors as you like, and be sure to get a couple of scoops while you visit. No Bainbridge Island day trip is complete without a stop here. After you load up on food (or perhaps before, depending on how you want to organize your date), head down to the waterfront to check out the marina. That’s where you’ll find the boardwalk which links the ferry terminal, Winslow, the boat docks, and other fun waterfront trails. It’s fun to just walk around, hear the sound of the water and enjoy the scenery. You might even spot a seal or two in the harbor. At this point on your Bainbridge Island day trip, you’ve probably noticed a few different places to rent bikes. There is a bike rental place located at the ferry terminal, and another along the boardwalk. If you walked on the ferry, and are looking to see a larger area of Bainbridge Island, we suggest renting a bike for a few hours. It’s fun to get lost on the winding roads of the island and it’s also a great way to explore the area. One our favorite spots on Bainbridge Island is Rockaway Beach (map). It’s about five miles from Winslow, so it’s best to visit this beach park by car or bike. While the park is small (.5 acres), the view is incredible. Not only can you see the entire Seattle skyline, you also have a great view of the Cascade Mountains, and you can watch the ferries go back and forth from the island. During low tide, there is also great marine life. A Bainbridge Island day trip is a great date idea. It’s not only beautiful, but it’s also relaxing. We promise you’ll have fun visiting, whether you spend the entire day, the afternoon, or just the evening. Where the day/night takes you after that — we don’t want to hear about it. 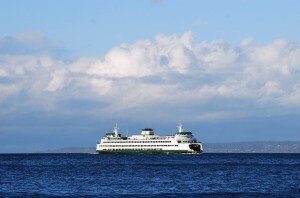 Have you ever done a Bainbridge Island day trip? Where did you stop along the way? We’d love to hear from you! Please leave a comment below or connect with us on Twitter, Facebook, and Google+. Don’t forget to check out Seattle Bloggers for other It’s a Date! ideas and so much more! 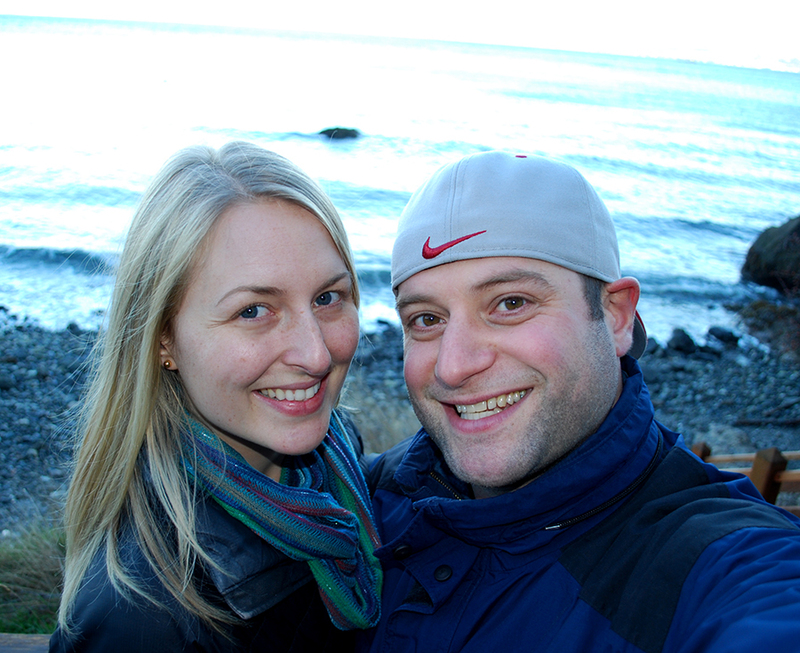 Bainbridge Island is one of our favorite day trips! We often drive around, and then come home on the ferry. 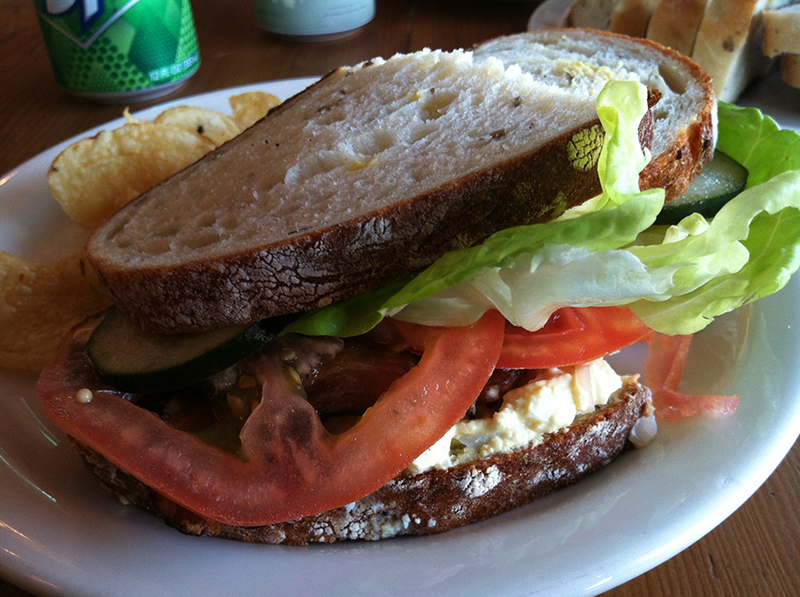 In addition to Mora’s ice cream, which we NEVER miss, we also enjoy lunch at the Harbor Public House. A visit to the Bainbridge Distillery is another fun stop. Our favorite place for a gorgeous nature walk is the Bloedel Reserve. There is a beautiful three mile trail that is worth a visit each season. The best part of a day trip to Bainbridge Island is that there is always more to do than time allows, so it’s the perfect place for frequent visits!